Myrtle Beach is one of the most visited destinations in the Spring and the Summer! With sixty miles of white sand beaches, world-class golf courses, and endless dining and attractions, it's no wonder families and couples head to Myrtle Beach for their summer vacation! Here are some of the best things to do while on vacation in Myrtle Beach. 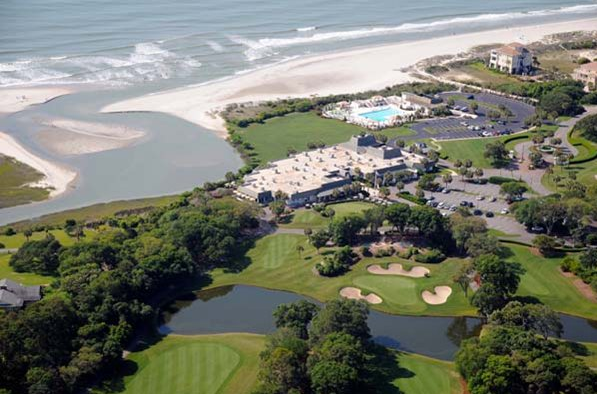 Over 100 Championship golf courses are found within the Myrtle Beach area. You could say that it's a golf lovers paradise! Some of the courses have even won top awards from Golf Digest and Golfweek! Keep your eye out for celebrities out on the courses; it is a favorite among them too! Besides, what is better than golfing in beautiful weather, right along the coast? This eye catching 167 foot tall ferris wheel was the first of it's kind in the United States! Take a ride on a little bit of history while viewing the entire area from this awesome Skywheel! Kids and adults alike will love this! Hit up over 35 amusement park rides one day, and the next day have some good old water park fun! These two attractions are great for the entire family! For the brave at heart, there is even a 110 foot sling shot drop. What a great way to see the entire Myrtle Beach area than soaring above it all. For the more faint at heart, there are go carts, trail rides, and a lazy river at the water park. There is something for everyone at both of the attractions. Along with these great attractions, there are endless activities for you to do on your vacation to Myrtle Beach. Lounge on the beautiful beaches, take stroll down the boardwalk, shop at the Market Common, take a boat charter, go deep sea fishing, and so much more! We promise you will have a fun filled summer vacation in Myrtle Beach! If you are looking for Myrtle Beach lodging, contact our travel specialist! Myrtle Beach vacation rentals are one of the best choices for your summer vacation. We have nearly 900 vacation properties in the Myrtle Beach area and we will be sure to find the perfect place for you!